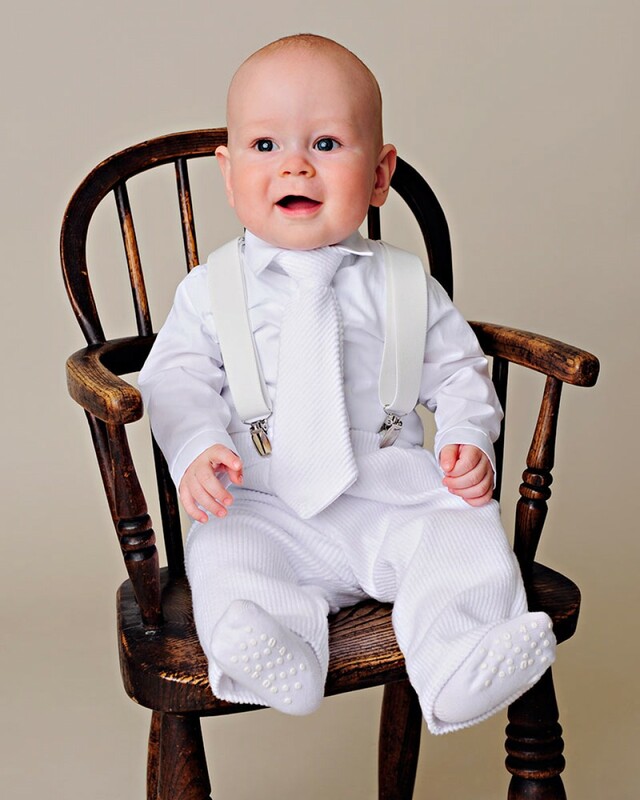 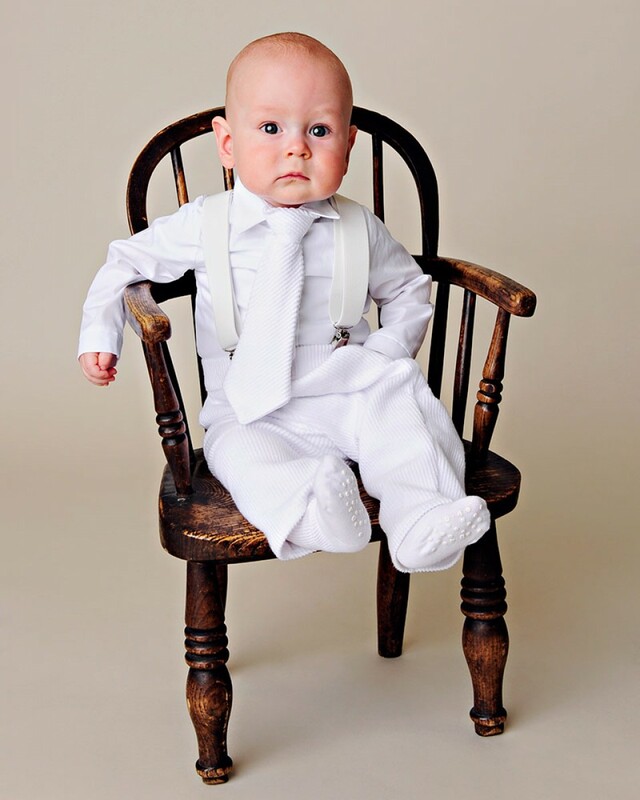 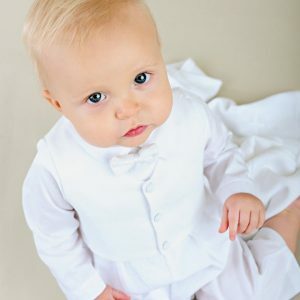 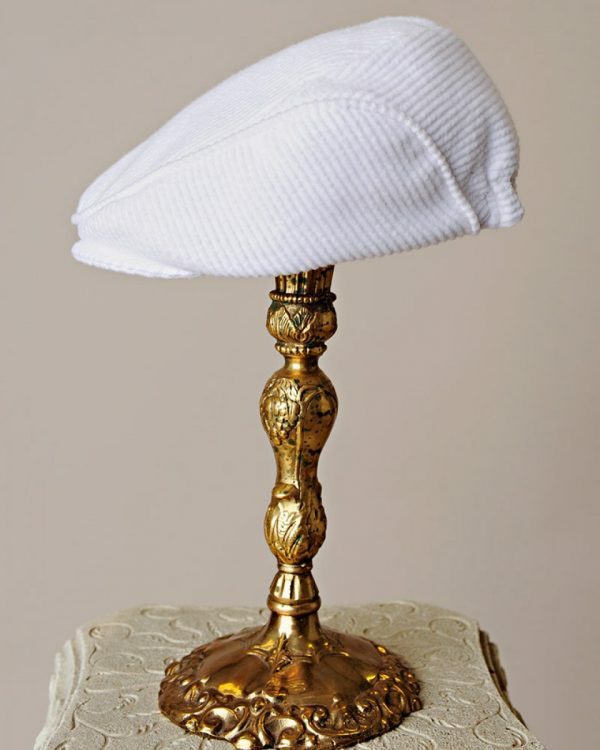 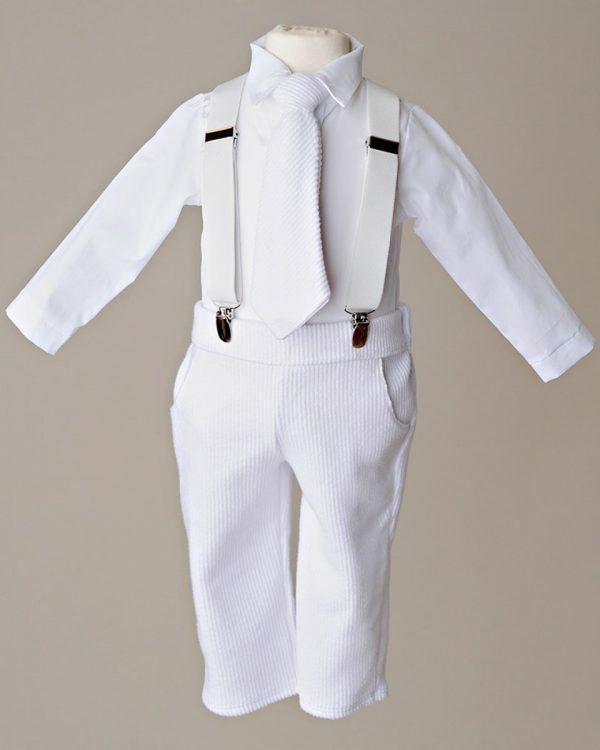 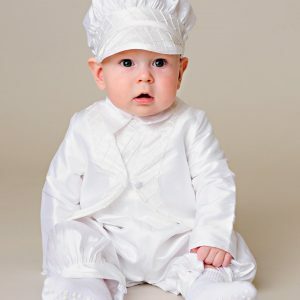 You will find the perfect combination of style and comfort with our Payton suspender christening outfit. 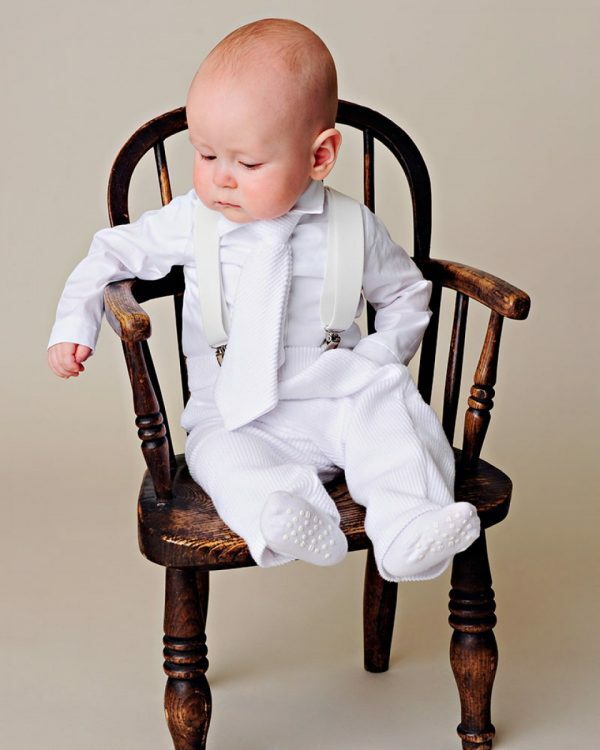 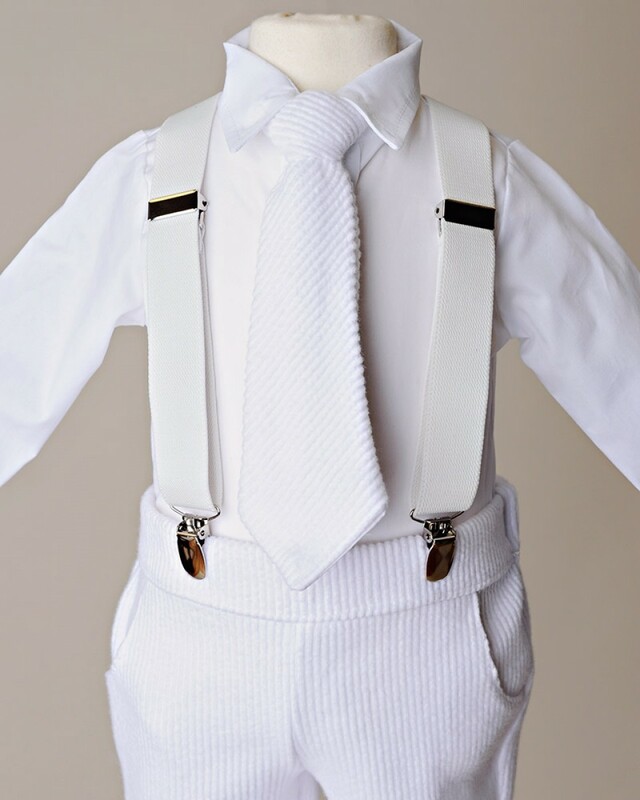 Features a crisp button-up collared shirt romper with tie and suspenders add sophistication and adorableness. Made from super soft and breathable rib-knit cotton for superior comfort–what more could you ask for!